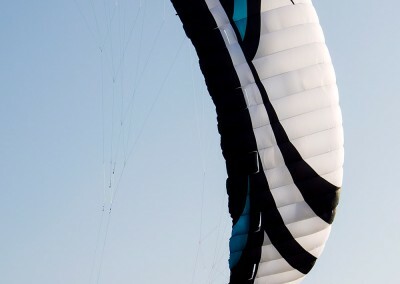 The SPEED4 Lotus is the best all round closed-cell foilkite on the market. 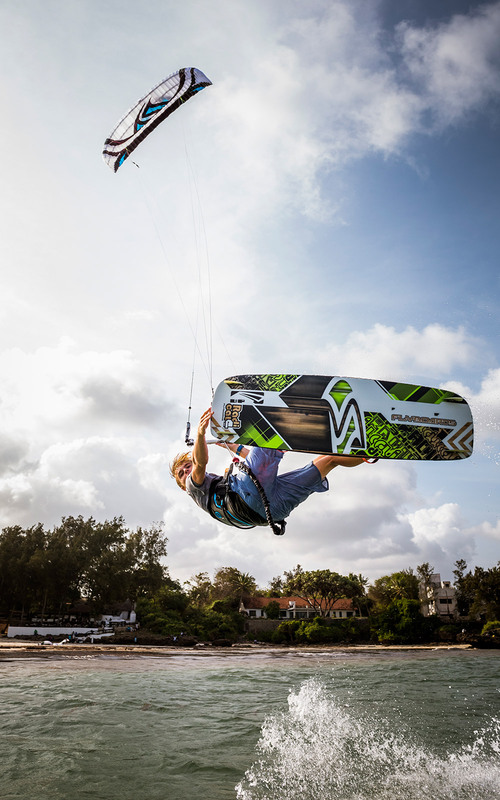 Unlimited performance, huge range of use, superb hang-time and water-relaunch, experience stoke on every terrain. 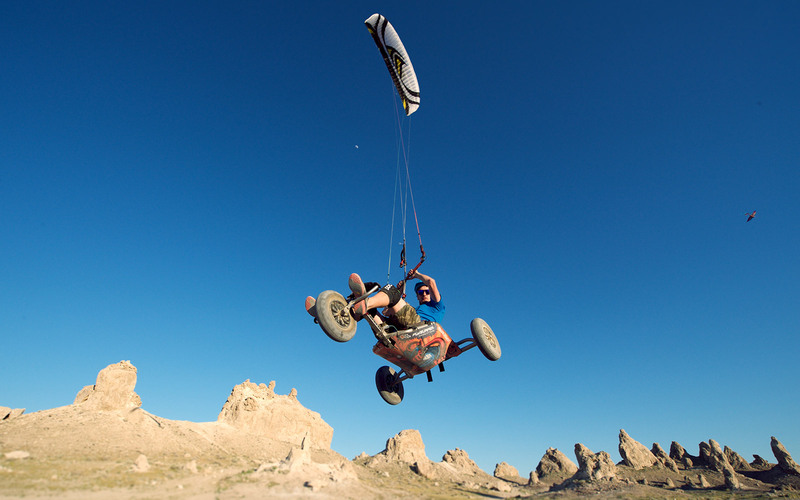 Excitement through unique versatility, for all riding levels. 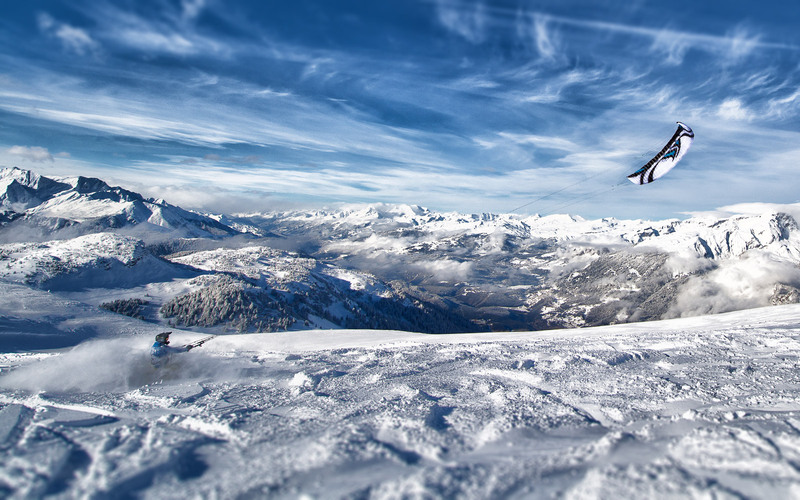 "You are always the first to get out: Water, Land or Snow, that is where you can go. 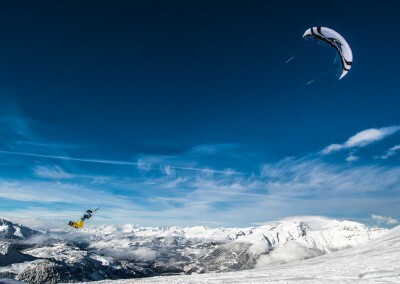 Fly high but never fall from the sky." 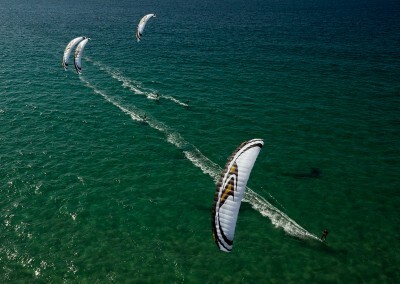 The SPEED4 Lotus reduces the minimum wind requirements considerably. 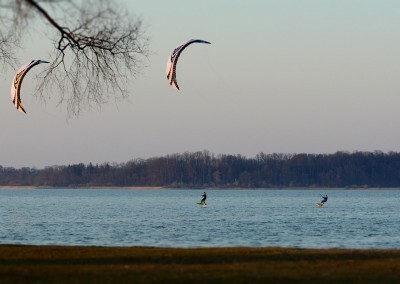 Especially in combination with high-performance kiteboards and hydrofoils this advantages is very noticeable. The optimized and smoother profiles of the top and bottom sails as well as the reduced line drag effect, have a noticeable effect on the total performance of the wing. Thanks to these new technologies, a significant increase in performance has been achieved on the SPEED4 Lotus. 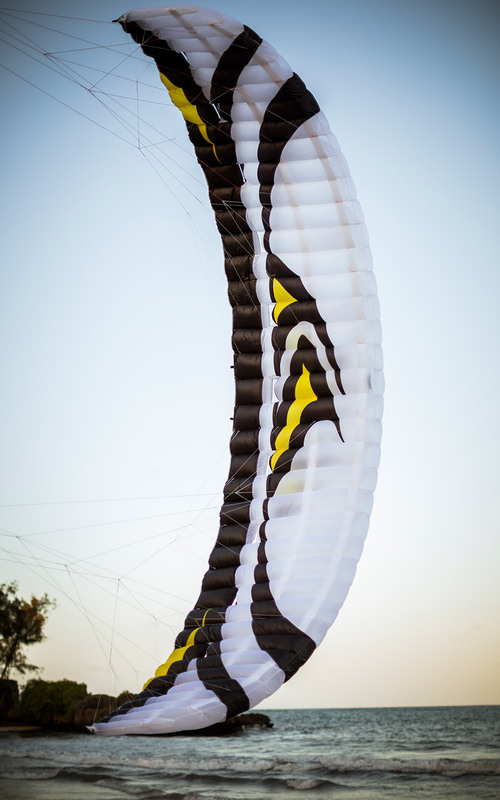 The Lotus kite cloth is very sleek, airtight, up to 25% lighter than our deluxe cloth and makes for an extremely smooth top and bottom sail. This advantage is clearly noticeable: earlier flying, tighter turning and more stability. 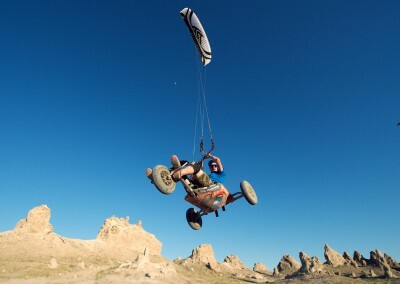 Water and dirt is automatically repelled from the kite. Because of the Lotus kite cloth, packing size is again significantly reduced, so your kite luggage becomes even more compact. 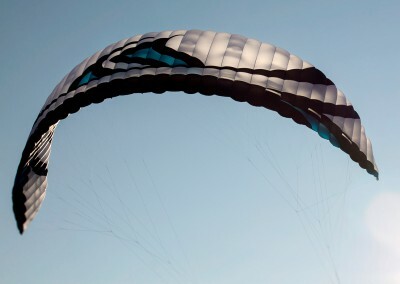 Thanks to new Dyneema core fibers, we could reduce the diameter of the new high-performance flying lines significantly, creating less drag, while retaining the same breaking loads of the lines. 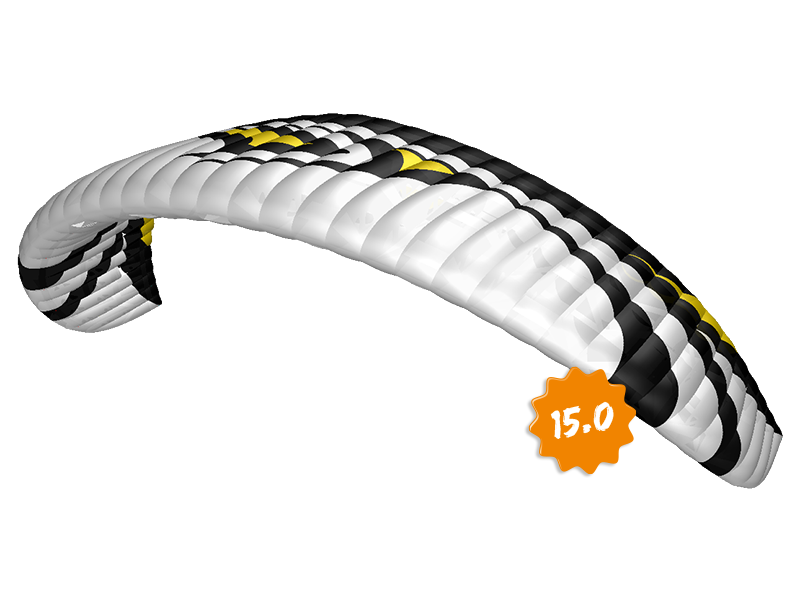 The SPEED4 Lotus is equipped with a Infinity 2.0 control bar which uses the 1m long leader lines of the CRONIX. 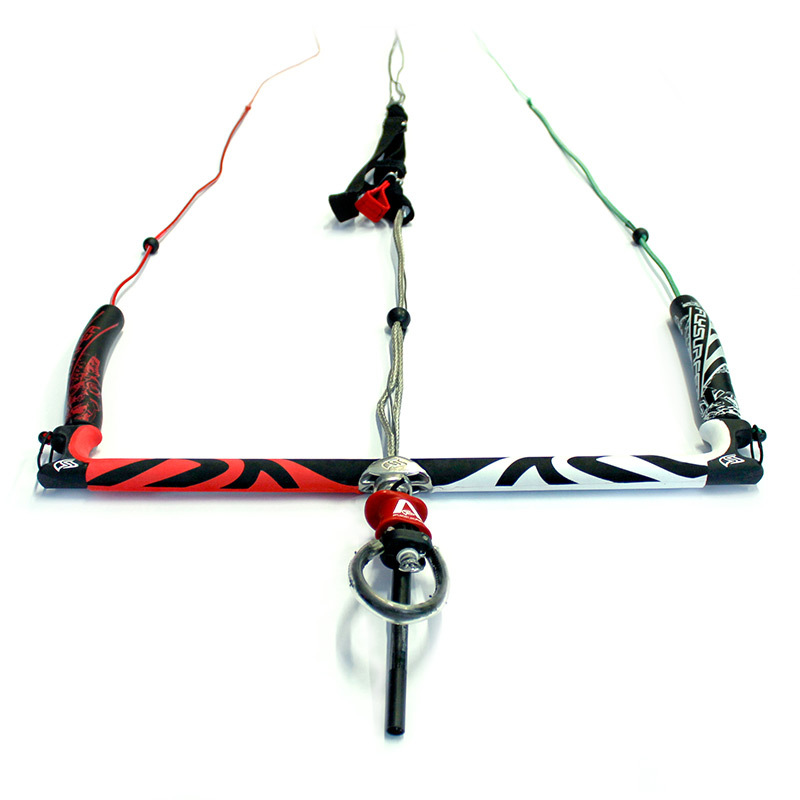 This allows the control bar to be used on both kites. 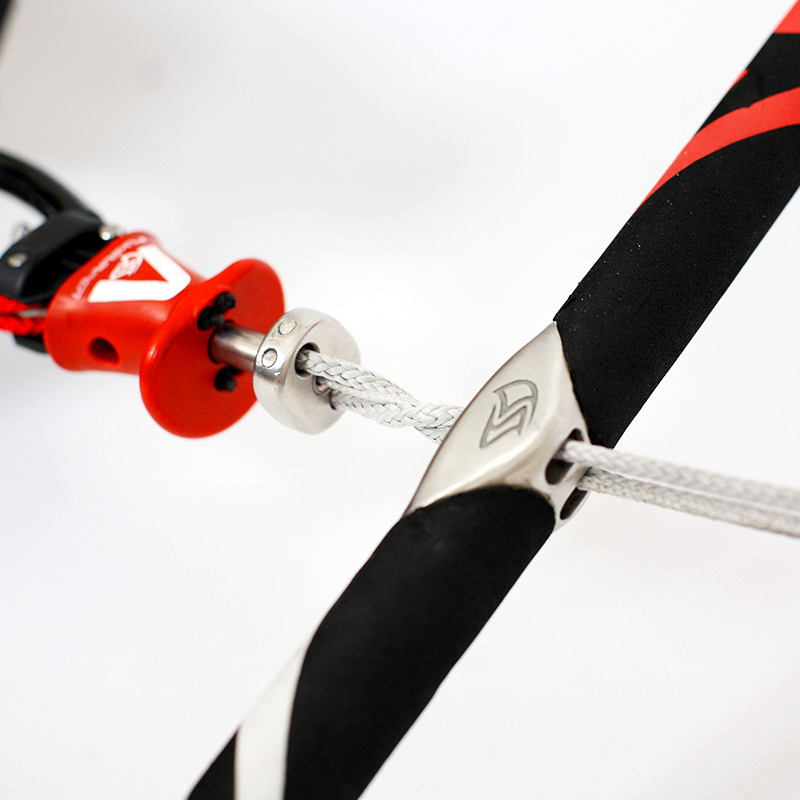 It is only necessary to ensure that the stopper knot is set to the longest FLS position of the kite which is used. 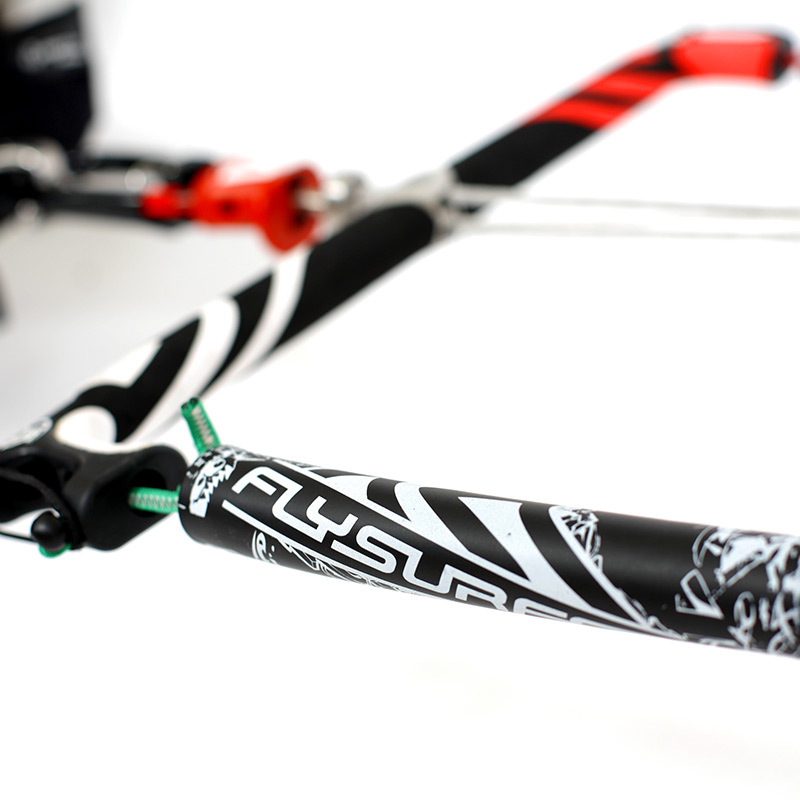 By default, the SPEED4 Lotus is equipped with a frontline safety (FLS). 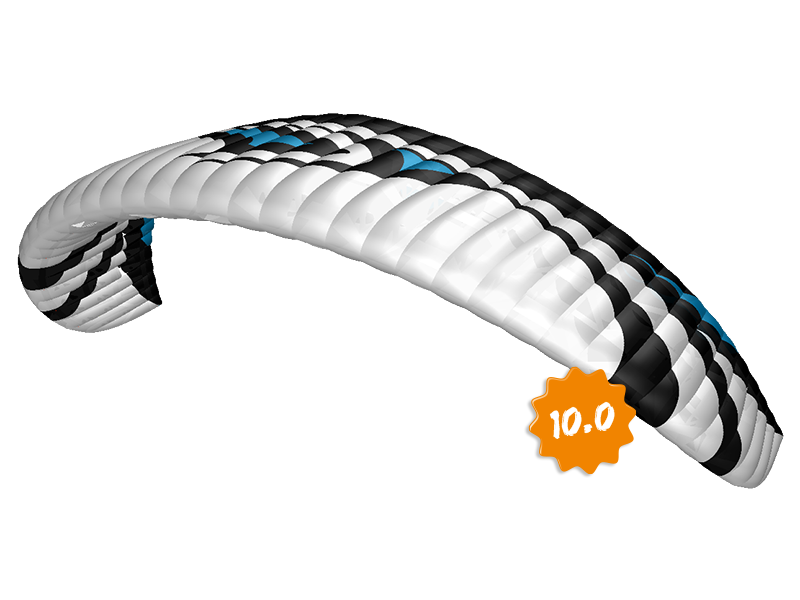 For fans and supporters of the 5th line safety system, we have developed a FDS upgrade-kit, which can be ordered in our online-shop or at a FLYSURFER dealer near you. Speed4 Lotus … just unique! 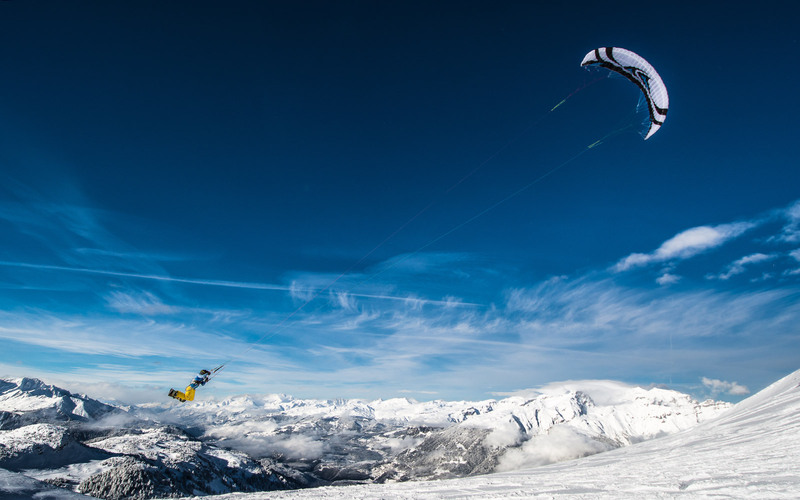 The SPEED product line has become a synonym for pure performance, ever since its introduction in 2001. 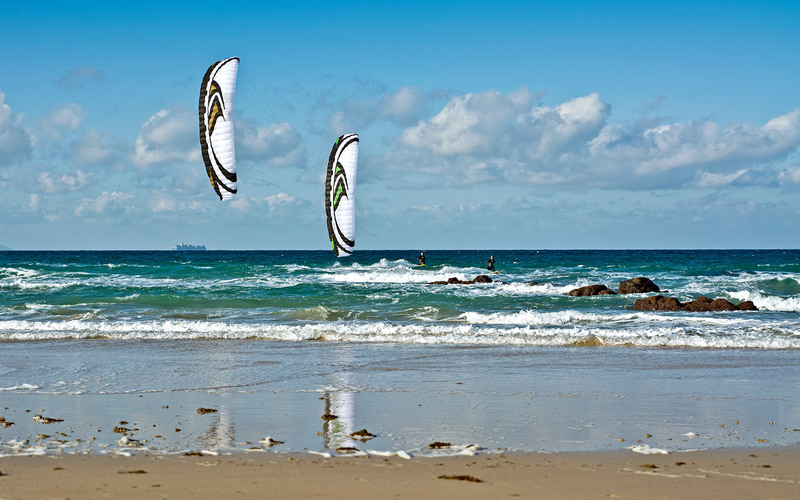 A sleek and stretched out machine ensuring low-end performance, maximum upwind ability and airtime. 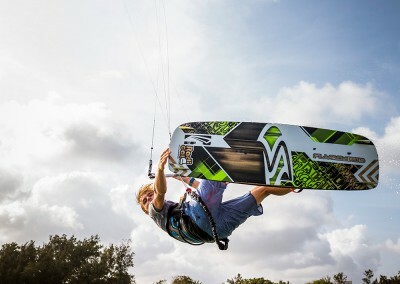 The key to the sustained success of the SPEED was continuous improvement of overall performance and kite handling – “power is nothing without control” could have been the slogan for the SPEED3. Turning ability, handling, stability and depower have reached a very high level. With the SPEED4 Lotus, we were able to gain another step in both “power” and “control”. 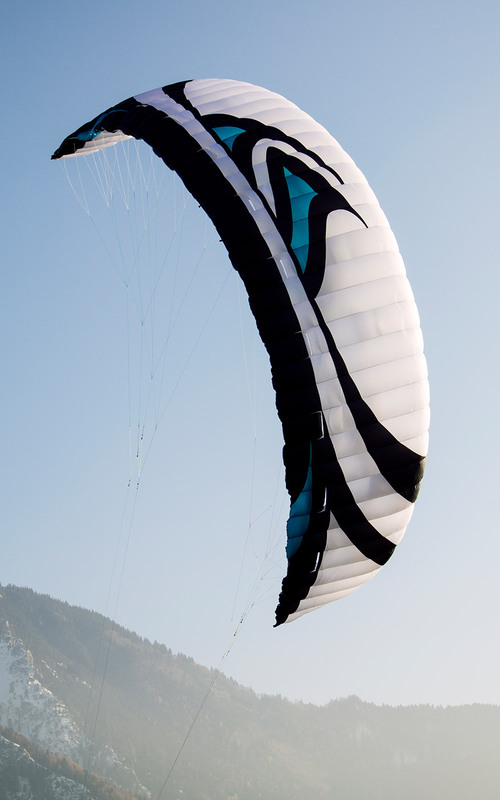 The improved design and profiles in conjunction with the new Lotus kite cloth push the boundaries of low-end, upwind, lift and hangtime once more. 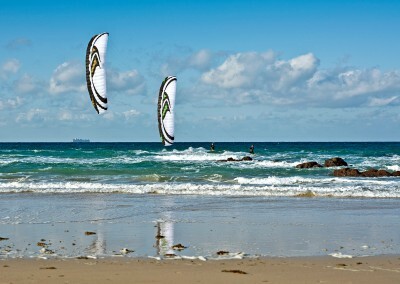 At FLYSURFER we have always set high standards on quality and durability. 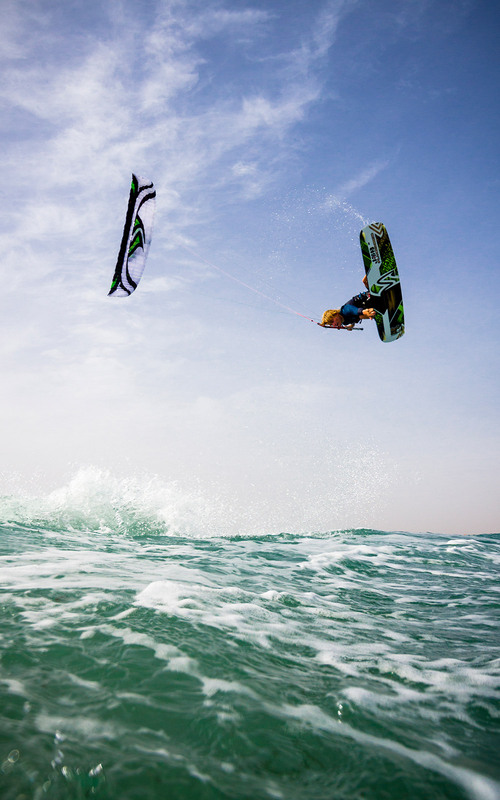 The highlight is the use of a completely new type of cloth material with a so-called Lotus effect, an industry first in kiteboarding. This material is not only extremely airtight and has excellent water- and stain-resistance, it is so smooth that we can not even print on the kite. 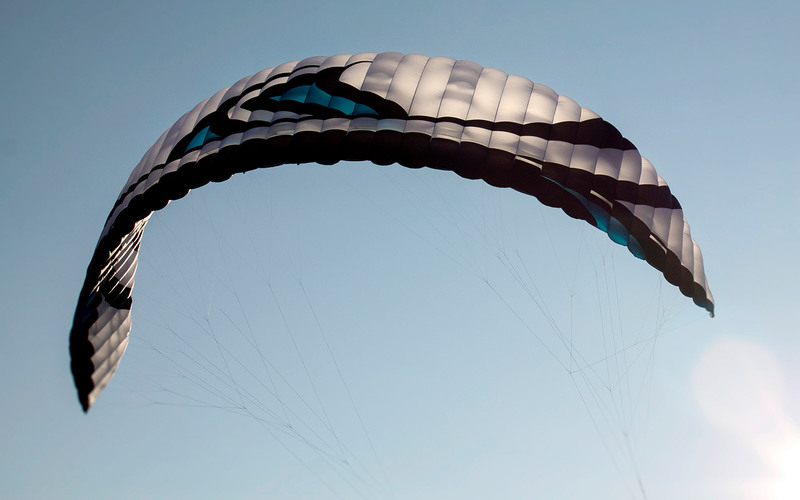 The Lotus cloth is a staggering 25% lighter than our already very light deluxe cloth! 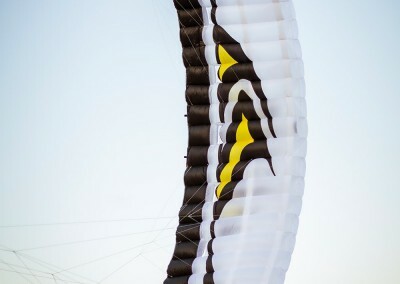 This weight reduction means: the kite is flies even earlier, can be packed-up smaller, is easier than ever before, to get out of the water and the cloth remains airtight even after countless hours of flight time – maintaining the same performance as the day you bought it. 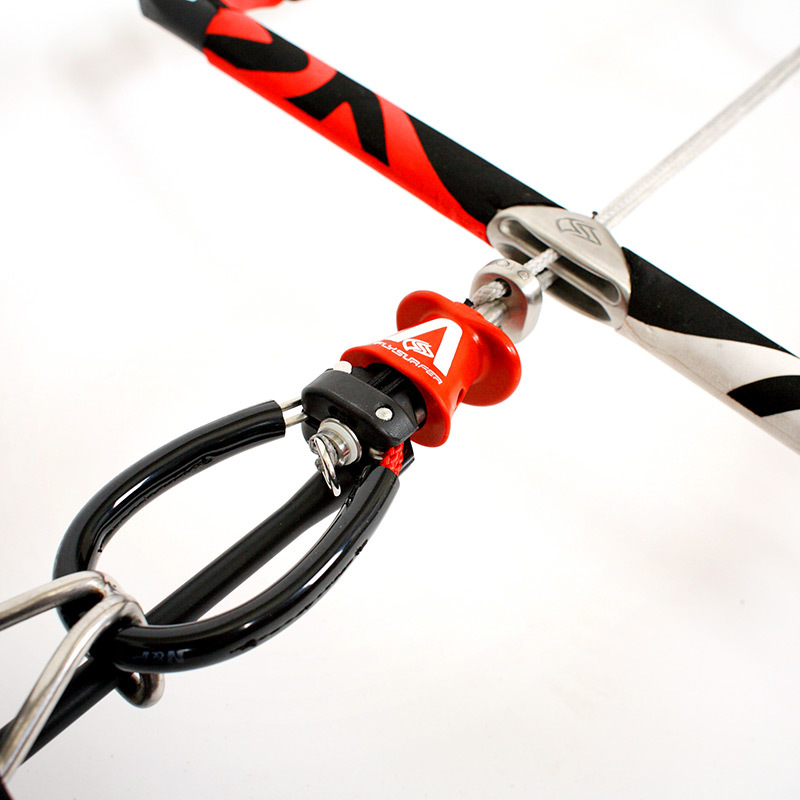 A special bearing design allows the Infinity Quick Release 2.0 tom untwist easier than ever. 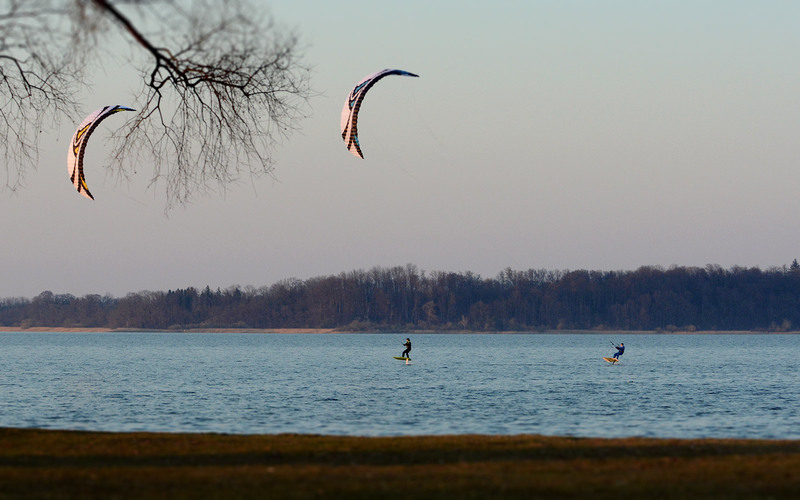 The release forces are – regardless of load – always low. The system is self-explanatory and fast and easy to reassemble. 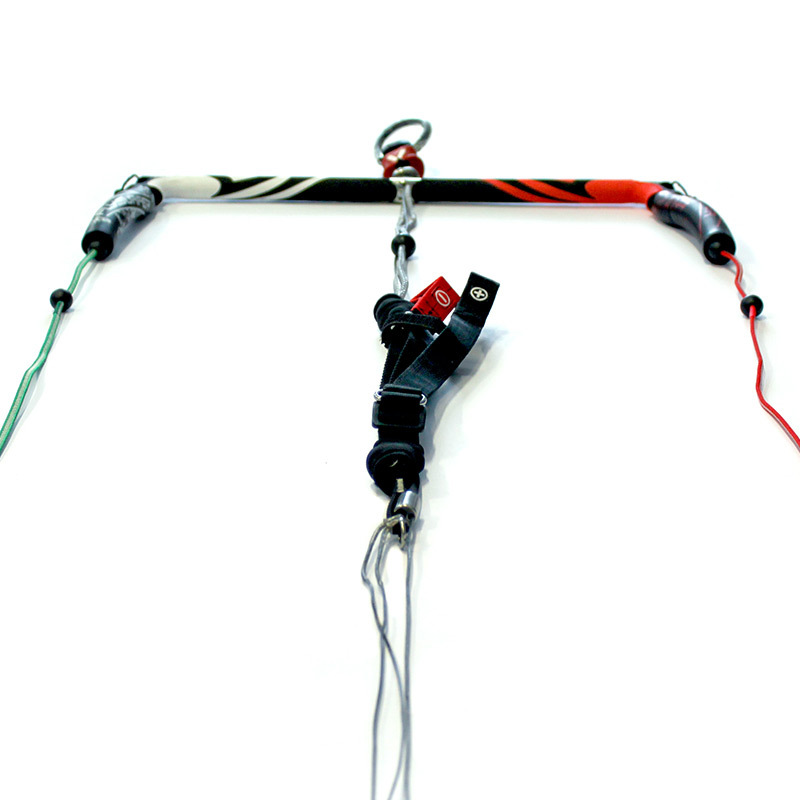 The Chicken Stick is, unlike most Chicken Dicks stiff on the outside and can be attached quick and easily to any kiteboard harness by its bungee system. 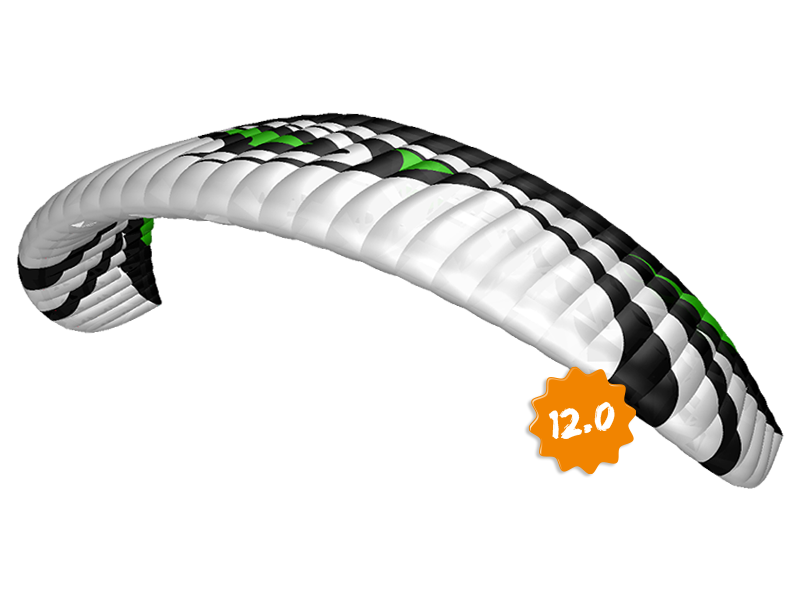 The Infinity 2.0 control bar is equipped with an easy adjustable stopper, recommended especially for advanced riders and constant winds. In addition, you can change the bar width at any time instantly. The trimmer is also very precise, smoother and more user-friendly than its predecessor.